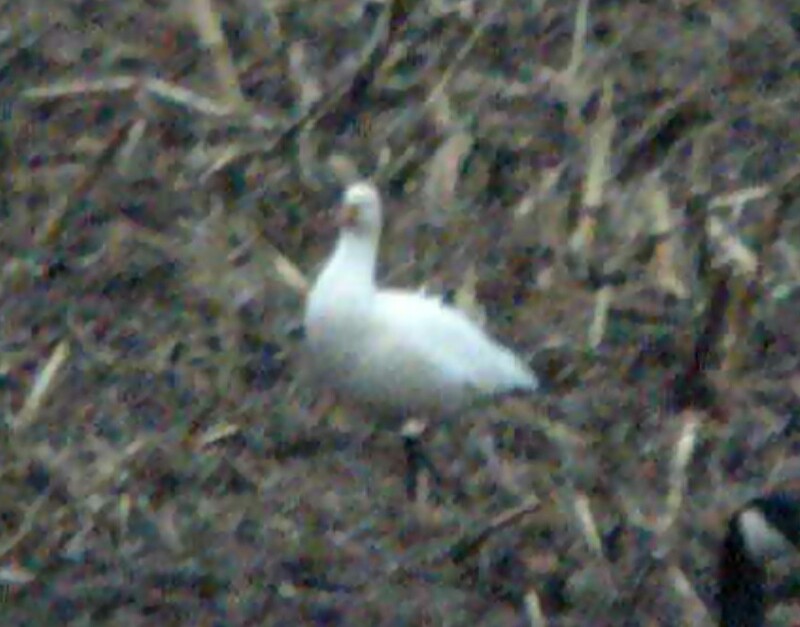 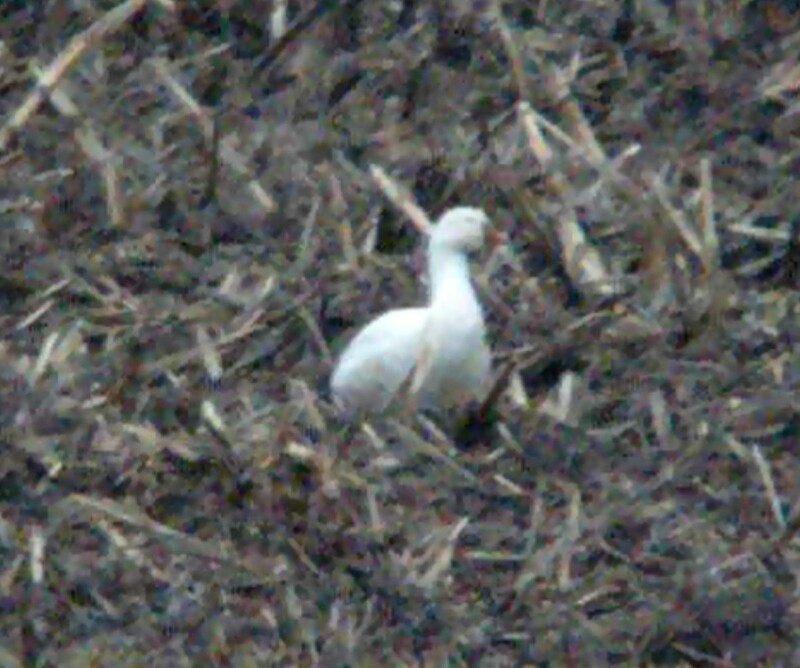 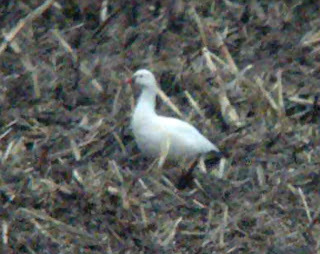 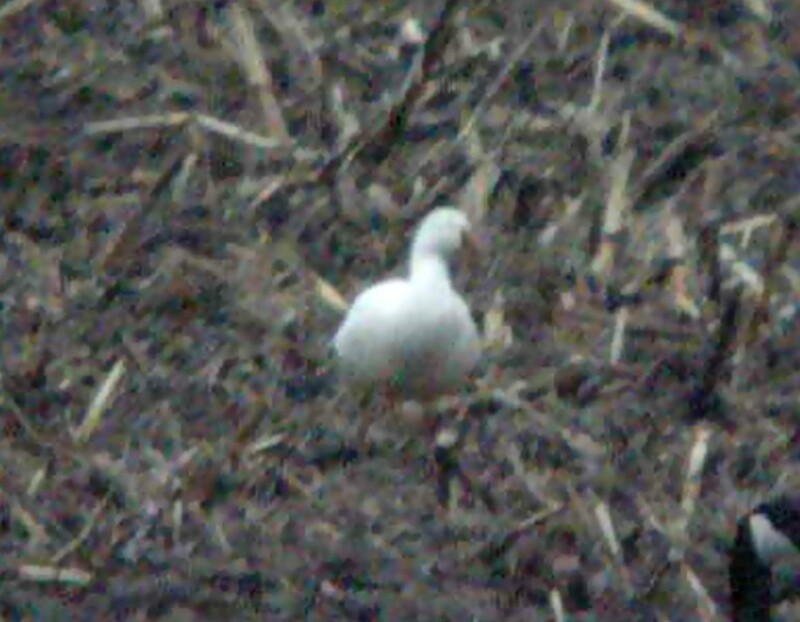 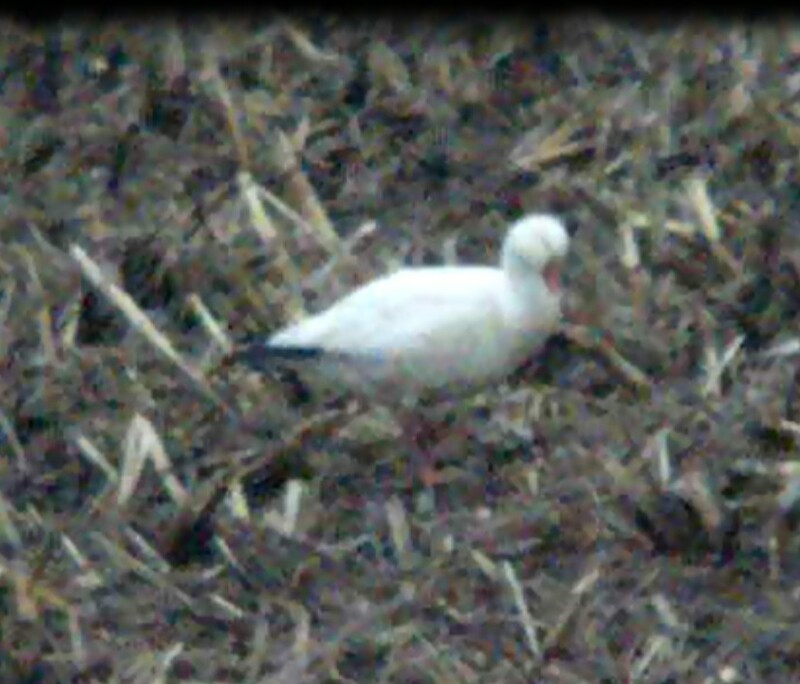 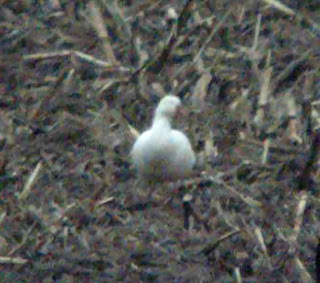 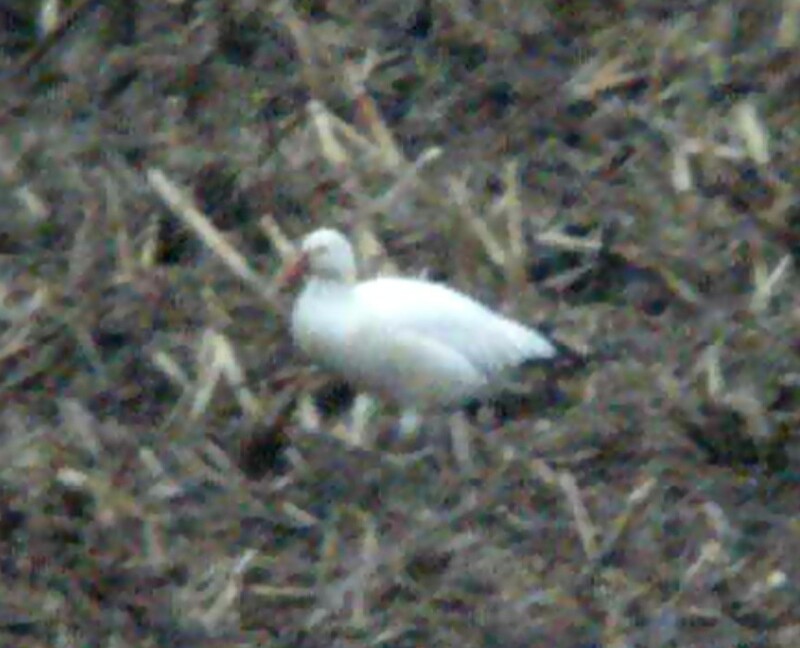 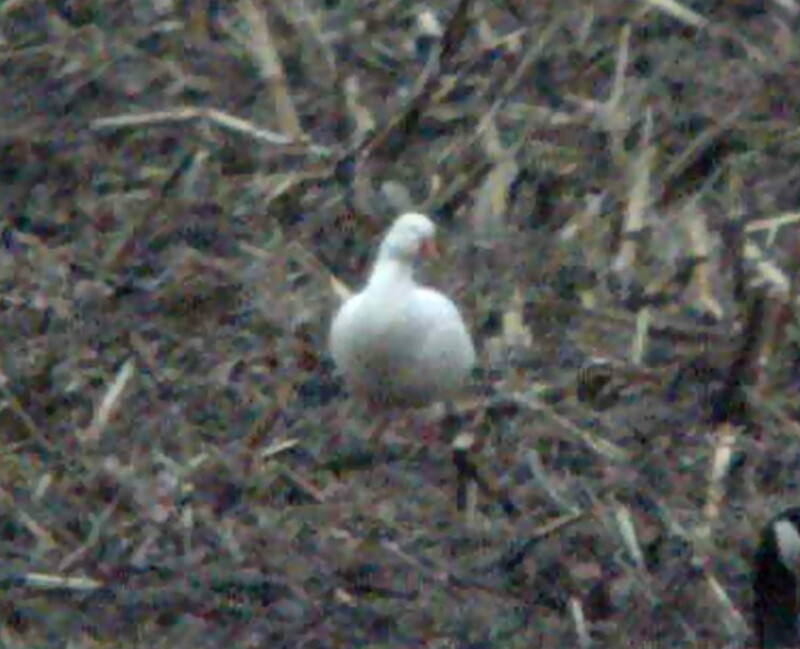 Getting straight to the point: here is try #2 at adding Ross's Goose (ROGO) to my county list. The first attempt ended with a bird that may or may not have been a pure ROGO, that we just let go (see http://ebird.org/ebird/view/checklist?subID=S7817773 and http://aviantendencies.blogspot.com/2011/03/putative-rosss-goose.html ). 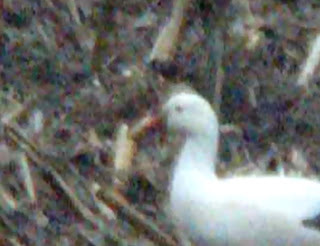 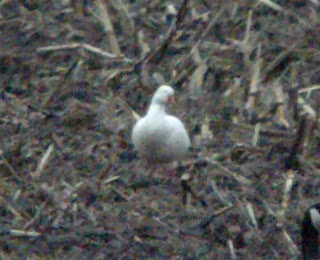 This bird was found by myself and Josh Haas this evening with a group of Canada Geese and 11 Greater White-fronteds (see http://ebird.org/ebird/view/checklist?subID=S13368926 ) and unfortunately the light was getting dim and the bird was probably 1/4 mile out from our closest vantage, and it was windy. 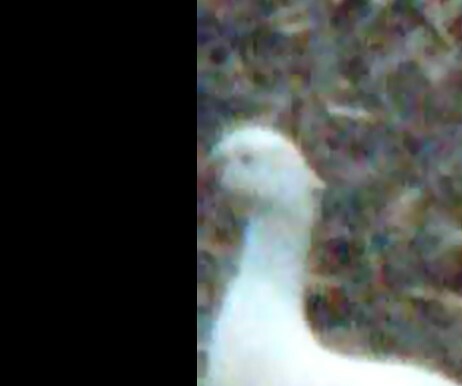 All of which made studying the details of critical facial morphology difficult. 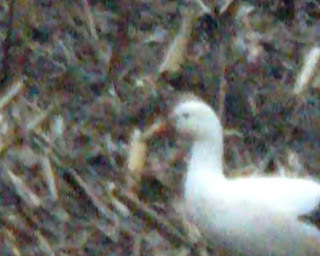 In life, it appeared to have a straight edge to the bill/facial interface, no grin patch, obvious blue coloration at bill base. 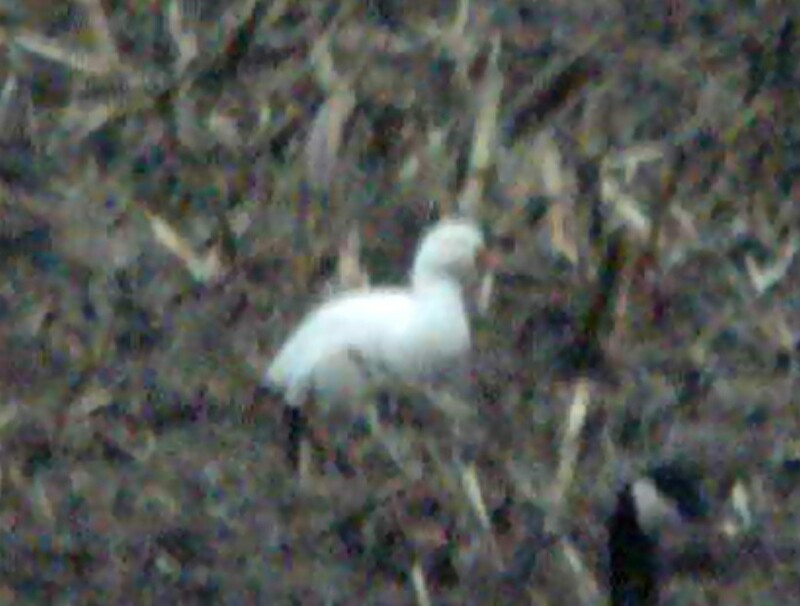 The only thing that seemed at all of concern (and I am not sure that this is of concern) is that the angle of the straight bill base at times appeared to be slightly diagonal, with the top of the bill slightly posterior in position to the bottom of the bill. 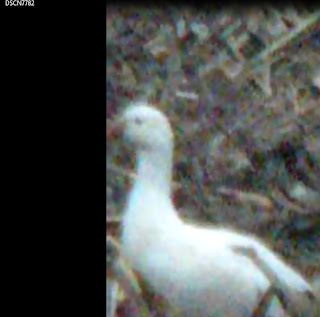 In other words, the facial/bill interface was slanted slightly inward toward the bird's body. 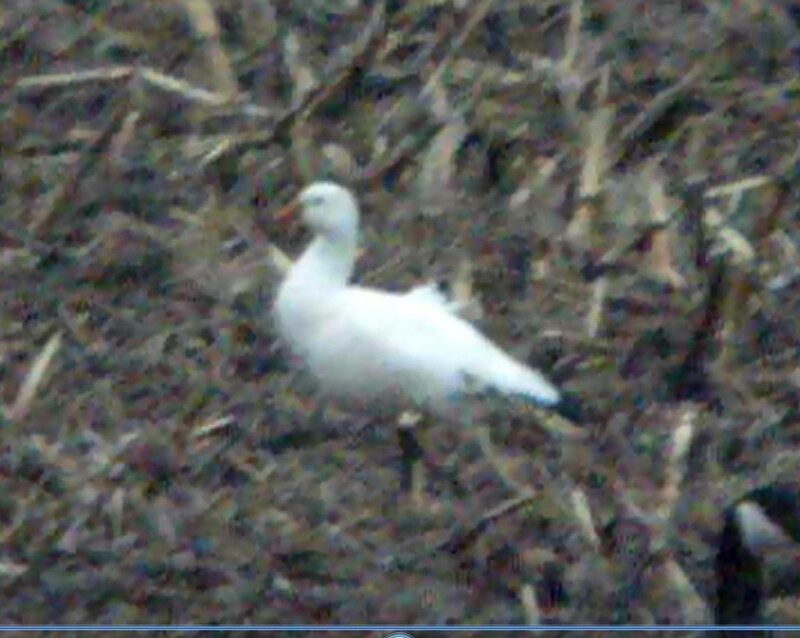 I would appreciate opinions on whether this bird is countable, and plan to try first thing in the morning again, as the bird seemed to go to roost at this location. 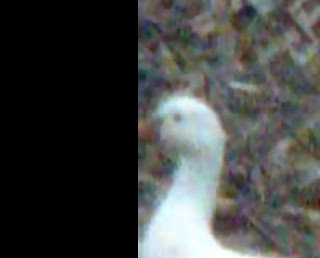 Caleb: So conservative! This is a no-brainer Ross's.